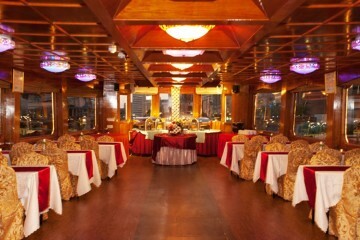 Witness Dubai like never before with Book Dhow Cruise Dubai. 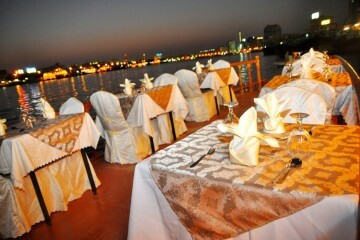 Our dhow dinner cruises bring to you unforgettable experiences on the sea, complete with an international buffet, wholesome entertainment and unique views that will be permanently imprinted in your heart. 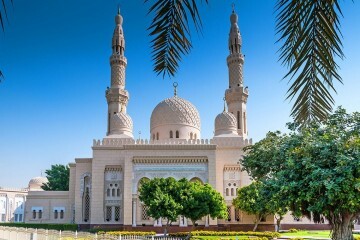 Choose from the many amazing dhow cruises on offer and get ready to revel in one of the most popular attractions of Dubai. Looking for a perfect setting to hold your wedding reception? 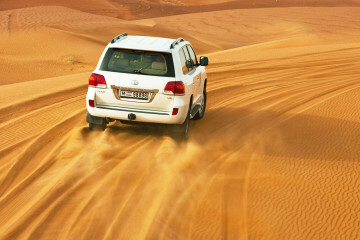 Find your dream tour with our deals and discounts!! So this new Dubai Water Canal Cruise caught my attention. I booked it and it was just excellent. I never thought all the usual sights of Dubai would look so unique. Loved the cruise and the food. I had done the dhow cruise in Dubai, so wanted to the one in Abu Dhabi. This one is just as good if not better. A fully lit Abu Dhabi from the coast looks just great. My wife also really enjoyed the whole romantic atmosphere. 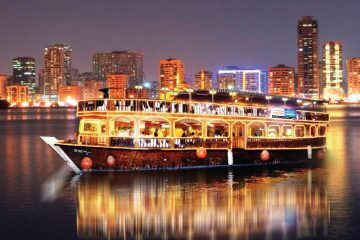 Dubai Creek is one of the popular places where the dhow cruise takes you. This amazing place feels like a time capsule that has perfectly preserved Old Dubai. Tiny hamlets, fishing boats, crowded souks, and old boats bring alive how Dubai once was. Another popular cruise is the Dubai Marina. Here, you get to see the Dubai of the future. 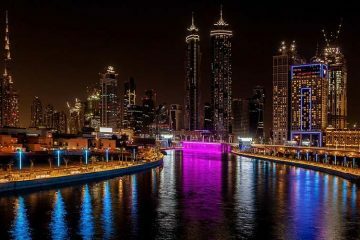 Dubai Marina region is being developed as the next big destination of Dubai with wonderful residential, commercial, and entertainment avenues. You’re guaranteed a great time here. The Musandam Dibba Tour takes you to the Musandam Peninsula in Oman. Enroute, you can watch dolphins swimming along the dhow. Once at Musandam, you take in the amazing natural views of the peninsula and just relax. Other featured aspects of dhow cruise in Dubai are the delicious welcome drinks, an international buffet curated and prepared by some of the best chefs in the city, and live entertainment in the form of Tanoura dance performances. 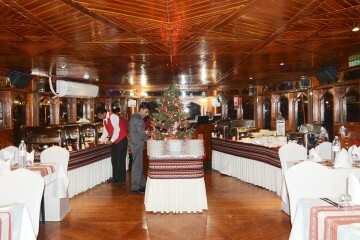 So, get the perfect ocean experience at Book Dhow Cruise Dubai, and get the best prices for your dhow cruise.